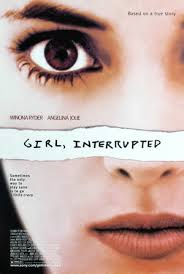 Girl, Interrupted: It took almost 30 years for former psychiatric patient Susanna Kaysen to pen a memoir about her sad, scary and even counterproductive experiences in a mental ward in the 1960’s. Her story struck a chord with not only women who had similar experiences in the past but an entirely new generation of women under pressure to conform to the new norms of a heavily medicated culture. It updated narratives such as Ken Kesey’s One Flew Over the Cuckoo’s Nest, a largely male-centered portrayal where women are die-cast as oppressors or whores, to include female patients and staff members caught up in the turmoil of light incarceration and truth-masking as antidotes to emotional pain and even abuse. Winona Ryder and Angelina Jolie (who won an Academy Award for her role) bring this story to life in the bizarre but heartfelt and warm way only actresses like them could. A Mighty Heart: Mariane Pearl’s 2003 commemoration of her kidnapped and slain husband feels sadly and startlingly relevant in these days of journalist assassinations and media exampling. Pearl’s book drew attention to the persecution of American journalists abroad, as her Wall Street Journalist reporter husband Daniel Pearl was kidnapped in 2002 while on assignment in Pakistan. Today, the Pearls’ name is synonymous with journalistic integrity and free speech, with several awards and fellowships named after them both. The book and 2007 film, a labor of love produced by Angelina Jolie and starring her as Mariane, follow the couple as Daniel is the subject of intense negotiations and government interventions to track his kidnappers and meet their demands. Mariane Pearl continues to be a busy speaker and activist for humanity. Eat, Pray, Love: In Poets & Writers Magazine, author and journalist Elizabeth Gilbert recounts going from an unknown story and article writer just hoping someone would email her about her work to a memoirist so overwhelmed with public attention from her book Eat, Pray, Love she had to call her people to convince her it was real. Ms. Gilbert’s brutally honest account of how she picked herself up after a thirtysomething stocktaking, weird divorce and financial tailspin is a powerful credit to the powers of food, God and love. She took a book advance to Italy, let her hair down and chilled out for the first time in her life. The results were miraculous. After Julia Roberts played her in a wildly successful film version of the same name, Gilbert continued writing and opened a free-trade curiosity shop with the love she wrote about finding overseas. Piper Kerman may epitomize the mantra “When life gives you lemons, make lemonade,” as her account of the one year she had to spend in an upstate New York women’s prison was the muse for the Emmy-winning Netflix sensation “Orange Is the New Black.” With her name changed to Piper Chapman and a cast of characters including Mafioso-type boss ladies and around-the-way girl hairdressers and a mentally-challenged lesbian stalker named “Crazy Eyes”, Kerman’s adaptation of her life uses the taboo setting of prison to present every anomaly possible. The series has received much media attention for its approach to and portrayal of such contemporary talking points as bisexuality and transgendered identities, but the heart of the show is the honest and deep friendships between the women, where a prison becomes just as melodramatic and juicy as a soap-opera set. As an original cable series, the show has paved the way for talk of much more original programming for women both online and on television. 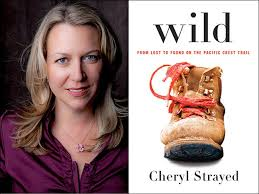 Wild: Cheryl Strayed offered up a more feminine take on rustic journeys of self-discovery and transcendentalism previously masculinized by such harrowing tales as Christopher McCandless’s in Into the Wild or our average space mission rendering. Unlike Gilbert, who chose modern Italy for her turnaround, Strayed took an 1,100 mile hike on the Pacific Crest Trail including the Mojave Desert. Under the surface of adventure she weaves in recounts of painful and sad life events which led to her need to “get away” in the biggest way: her mother’s death, her own drug use, a divorce and a shattered nuclear family. It has become the new Eat, Pray, Love. This December, the film Wild comes to a theatre near us, produced by Reese Witherspoon to star her and Laura Dern.